Hotel Terral. Junior Suite. Room 402. 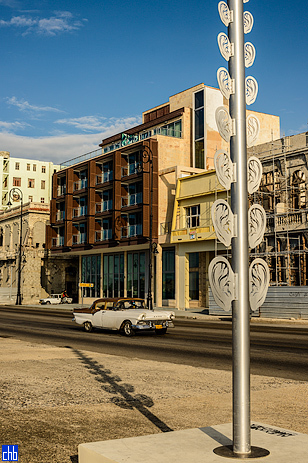 Finally a new hotel on Havana's Malecon; and a rather splendid one at that. 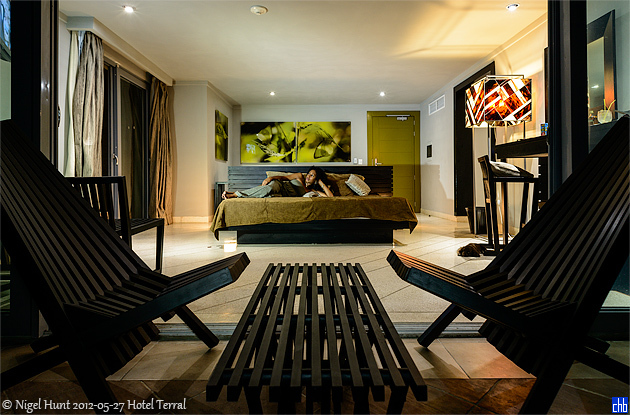 The Terral Hotel opened in May 2012. 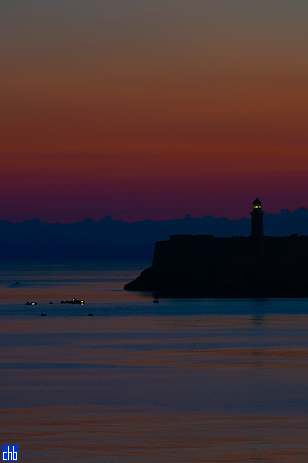 All 14 rooms face the sea; the 2 suites have large roof terraces, and all the others have balconies. 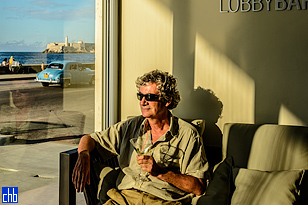 When people catch-on that these are in many respects the most desirable rooms in all Cuba you will need to book very well in advance. 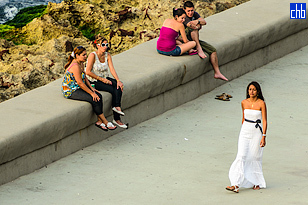 "El Terral" describes a breeze in Malaga, Spain, that is hot & dry coming from leeward mountain slopes in the summer, and that is cold & dry in the winter. I had the junior suite room 402. Fabulous! The room is all new and modern, the view is the dogs pyjamas, the jacuzzi works just fine, and the service rather friendly & efficient. The breakfast and snacks are pretty OK but nothing to write home about. 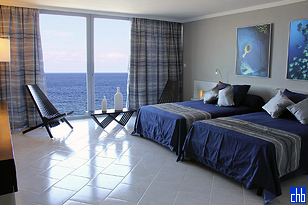 The 12 modern centrally air-conditioned standard rooms are all with large full height sliding windows to balconies with 180 degree unobstructed sea views. All the balconies have special shutters for shade, privacy and storm protection. 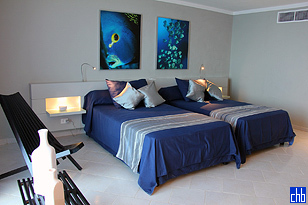 9 of the rooms have twin beds, and the 3 double beds. 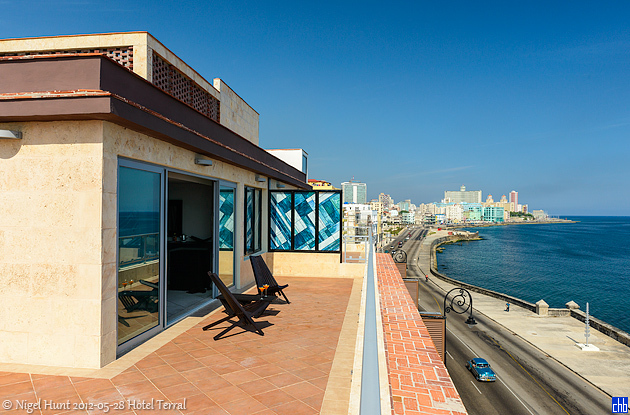 On the top floor these penthouses have roof terraces with commanding views of the ocean, malecon and much of Havana. 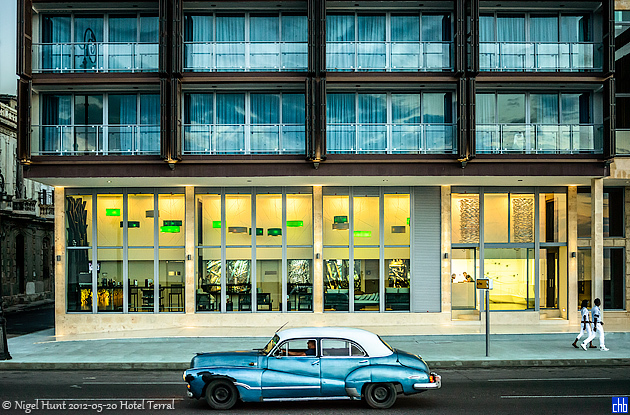 If location and comfort are important to you then these must be the best rooms in Havana right now.